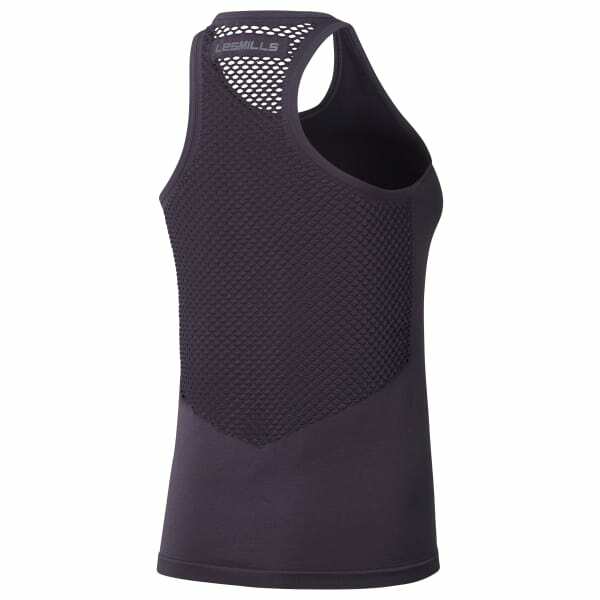 Seamless construction meets maximum breathability in this LES MILLS™ tank top. The open-hole mesh panel in the back plays up visual appeal while adding airflow, and the racerback silhouette ups arm mobility. Plus, Speedwick technology helps banish moisture from your skin.